Gone are the days where you need a brick and mortar store to thrive in the retail business. Online marketplaces provide the best alternative and are perfect platforms for eCommerce entrepreneurs. By registering as a seller in any one of these online marketplaces, e-commerce business owners can access an unprecedented number of potential customers. The largest and most popular of these marketplaces are Amazon or eBay. They are the two pioneer companies of ecommerce and are usually found in almost any country. The question here is, with all the other marketplace options, why choose either Amazon or eBay? The web has become saturated with various ecommerce platforms. However, there are still many reasons why you should consider choosing Amazon. It’s difficult for new ecommerce stores to gain popularity all on their own. Selling on Amazon gives you access to their network. Amazon is the third most valuable company in the world and it is still growing at a rapid rate. Amazon is one of the best tools for any aspiring e-commerce business. Positioning your business with one of the most successful companies of our generation might be a good idea. Online sellers that persevere and strive to do their best can thrive on Amazon. The Amazon platform is famous for its unparalleled customer service. Online shoppers flock to Amazon because of this fact. Sellers need to emulate Amazon’s commitment to being customer-centric. If you have complete faith in the quality of your products then Amazon is the best marketplace for you. Selling cheap, low-quality merchandise is detrimental to any e-commerce business. If you are on the fence about what you’re selling then you need to first fix your product sourcing. To succeed in e-commerce, you need first to fix your product sourcing process. Only offer customers high-quality merchandise. Selling only quality products to customers will give you one less thing to worry about. Selling on Amazon will be easy for sellers that are customer service oriented. Being associated with Amazon will instantly grant credibility and an extensive network to your business. To succeed on Amazon you need to adopt their philosophy of always focusing on customer satisfaction. Perfect customer service is what Amazon customers are looking for, and that is what you need to give them. Do that and your e-commerce business would be a tremendous success. It is free to register and sell products on Amazon. There are two membership options designed to either fit a startup or a company. Each seller needs to analyze what membership tier would be perfect for them. Free to sign up but there is a $.99 charge per sale of every product you do sell, and Amazon also charges a referral fee. The fee depends on the product category but has an average of 15% of the sales price. With this type of account, there is a monthly limit of 40 products. An Amazon pro seller account is for startups, large companies or serious sellers. There is a monthly fee of $39.99 which allows sellers unlimited sales. A pro seller account gains access to the full scope of Amazon’s inventory management tools. These tools provide sellers all they need to manage their online store. Make sure to master these tools such as Amazon’s sales coach. About two-thirds of all Amazon customers enrolled in Amazon Prime. Customers love Amazon Prime, first because of the free shipping. 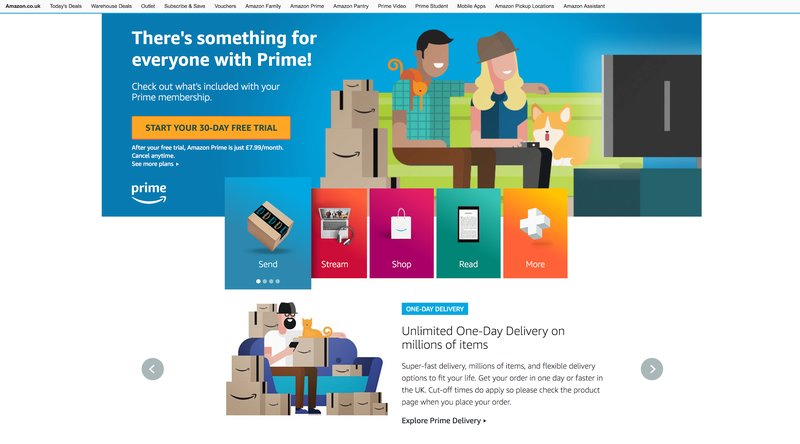 Amazon Prime customers get free 2 days shipping with all their purchases on Amazon. Usually, Amazon Prime customers only buy products that are available on Prime. Take note that not all Amazon sellers have their products available on Prime. Only fulfilled by Amazon sellers have their products listed on Amazon Prime. If a product is not available on Prime, there is a very slim chance that Prime customers would buy it. Only thirty percent of Amazon customers are not enrolled in Prime. They may decide to buy products from non-FBA sellers. Any Amazon seller can sign up for the Fulfilled By Amazon program. Imagine not having to prepare each product shipment yourself. The whole process of picking, packing, packaging and shipping takes a lot of time and effort. Time is money, and this program helps entrepreneurs like never before. The FBA program allows sellers to outsource daily operations of their e-commerce business. Amazon staff will be in charge of the day to day operations. The FBA program is a great tool to help budding entrepreneurs leverage their time better. Customers enjoy shopping on Amazon because if there is a problem with the product, they can return it. Getting a replacement product or even a refund is already expected. Amazon’s culture for customer satisfaction makes it easier and stress free for shoppers. Making Amazon customers unhappy may lead to bigger problems. Too many detractors and your account will get suspended or even banned from the platform. When customers shop on Amazon, they already expect stellar customer service. Online shoppers feel safe on Amazon. They will order from unknown sellers even if the product does not have any reviews. Only because the product is being sold on Amazon. In case the customer is not happy with the product they can email the seller to let them know of any issues. If that doesn’t work they can with Amazon customer service to make it right. Most Amazon sellers will do everything in their power to make a customer happy. Add customers emails to your email marketing list. Send them discount coupons for purchases on your eCommerce store outside Amazon. There you can start a live chat session and ask potential customers what it is they are looking to buy. Live chat can be a powerful tool when used correctly. There are some negative aspects of selling on Amazon. It comes with the territory, and these are things you need to deal with to make it in this marketplace. Amazon allows sellers to reach millions of customers in exchange for some fees. All sellers have to pay the referral fee. The fee depends on the product category but has an average of 15% for every sale. FBA sellers also pay a fulfillment fee per transaction as well. The amount charged depends on the size and weight of the product. 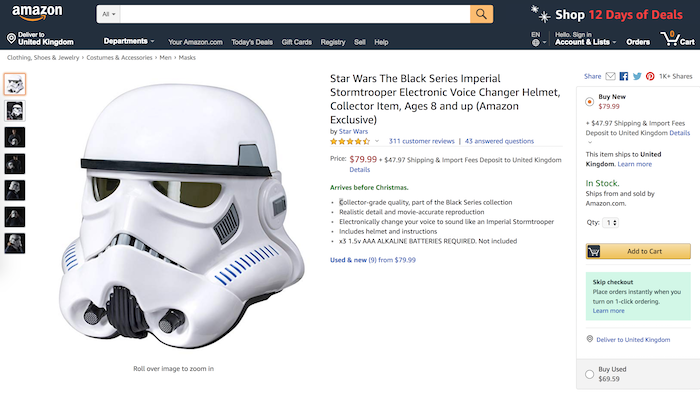 Amazon allows sellers to use a catalog when listing products. The catalog makes listing your product quick and easy. Many Amazon sellers sell the same product. Using a general catalog to register that particular product makes it simpler. This feature is there to make listing products more convenient for sellers. It also allows other sellers to ride on the success of the product you initially sourced. They order the same exact product from China to mimic your success. This is where private label comes in. 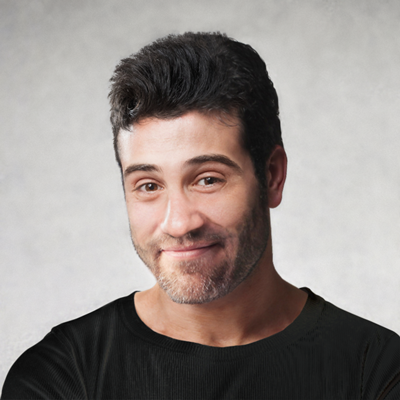 It provides sellers the exclusive rights to sell their own privately manufactured product. The eBay platform was an auction site that ushered in a new era dubbed e-commerce. In 1995 eBay popped up along with a million other .com’s but unlike the other eBay made selling online a reality. This platform was originally used for selling used goods. It did evolve to market new products later on. Online entrepreneurs like selling products on eBay. The seller fees are lower and sellers have more control of the product returns they choose to accept. eBay is a popular auction site that used to specialize in selling pre-loved items. Now 80% of the merchandise sold on the eBay platform is new products. eBay is still the go-to site for used items at a very affordable price. The platform is also famous for selling high priced items. The most expensive of which was a private jet that sold for $4.9 million. Selling on eBay incurs fewer fees than Amazon. The final value fee is akin to Amazon’s referral fee. eBay’s final value fee is only 8% of the products final sale price. If the product is $50 and below, add another 5% for items above $50. That’s a total of 13% which is better average than Amazons 15% referral fee. eBay’s answer to Amazon Prime. The premium membership allows eBay shoppers to enjoy features seen on Amazon Prime. Such as free guaranteed 2-day shipping for all purchases. Plus free product returns within thirty days. Sellers need to pay $49 per year to register for eBay plus. The benefits definitely outweigh the cost. Sellers receive a 15% discount on selling fees. Not to mention better product ranking for their products. Like any marketplace, eBay has its own set of negatives as well. Take these into account when making your decision or learn to adapt and work around it. If you have more personal time to dedicate to preparing each order then eBay could work for you. Doing all the picking, packing and shipping takes some time. Since eBay has no fulfillment service, your company will need to do all the work for each order. This could work if you only have a few orders coming in per day. But, if your business gets dozens of orders then you can choose to hire someone to process each order for you. If not, you will end up wasting most of your day preparing packages for shipping. eBay requires all payments to go through PayPal. That is the only way payments processing system on the eBay platform. 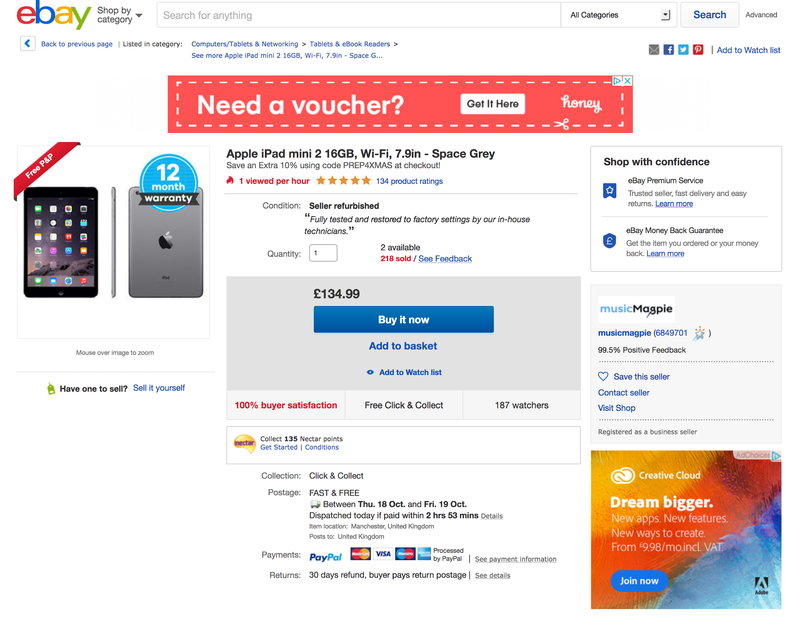 If an eBay shopper has a PayPal account then they do have the option of using that. Shoppers can still use their debit or credit car but would need to enter payment information to a PayPal. Which would still process the payment via PayPal. There is a PayPal fee of $.45 and another charge of 2.9% of the transaction amount. Since eBay does not have a general product catalog as Amazon does. Listing products can be somewhat chaotic. In any marketplace, some sellers make it their business selling counterfeit products. 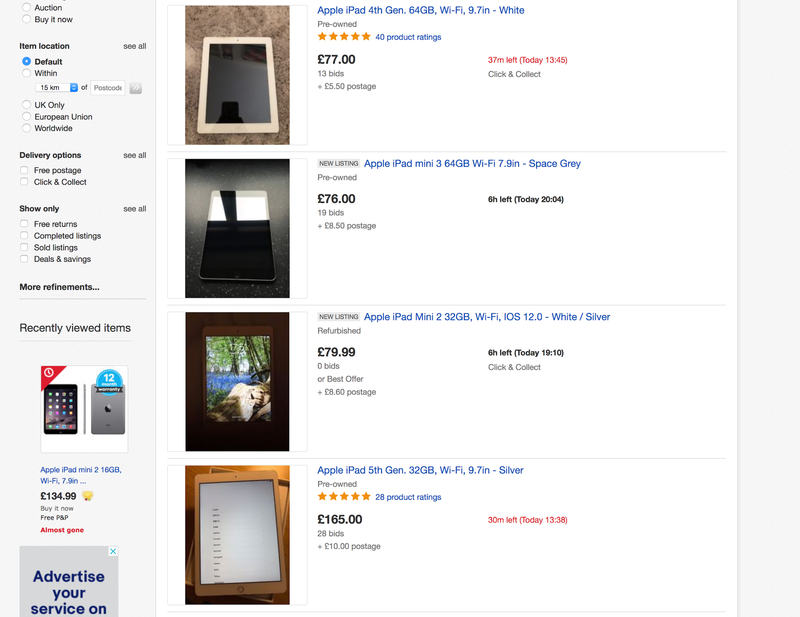 For every item that you post on eBay; you need to create a separate product listing. There are so many product listings of the same product. Sellers will have trouble trying to compete for the lowest price with competitors. Both Amazon and eBay have their own pros and cons. Each marketplace can be useful for your business. Depending on your preferences as a seller you can choose one over the other. If at all possible, why not post your products on both marketplaces. See for yourself which one will work better for you. Try taking advantage of the best of both worlds. Experiment with external ad campaigns. Check which will have a better ROI and review to see which marketplace gives you more sales. If you want to focus on one marketplace, then you need to weigh the factors and decide. It also depends which marketplace is more popular in the country you’re in.